Cunard’s newest liner was brought into service late in 2007 following christening by Her Royal Highness, Camilla, Duchess of Cornwall in Southampton December 10, 2007. 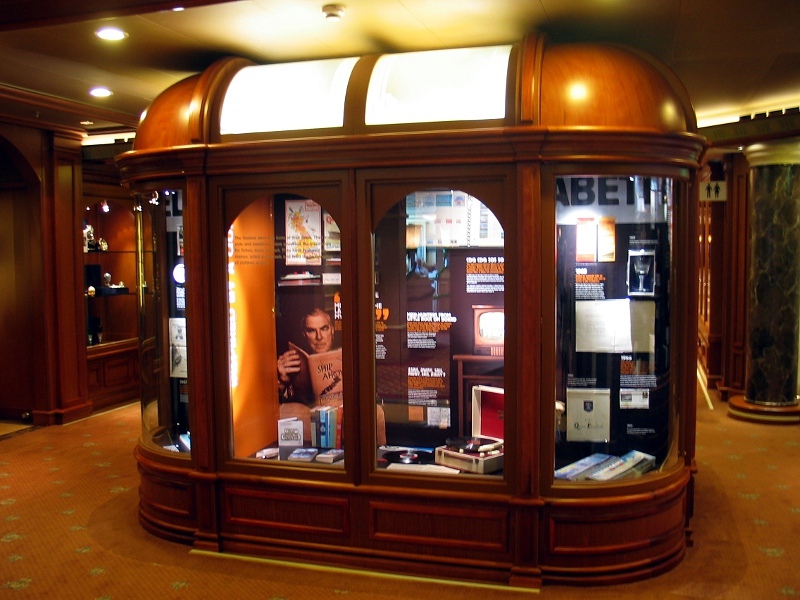 In an effort to capture the grand style and decor associated with the floating palaces of the past, and also to give emphasis to its rich history and heritage, Cunard Line created Cunardia, a museum-style exhibit of Cunard memorabilia aboard Queen Victoria. The permanent onboard display reflects a number of different themes focused upon the line’s three great Queens… Queen Mary, Queen Elizabeth and QE2. Some of the artifacts in the Cunardia exhibit are on loan from the collection of John G. Langley, Q.C., Chairman of the Cunard Steamship Society. Retired Commodore Ronald W. Warwick, Patron of the Society and former Master of both QE2 and Queen Mary 2 serves as Honorary Curator of the exhibit. 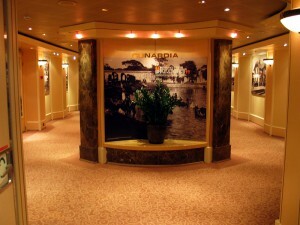 One of themed displays in Cunardia Exhibit presenting photographic images of historic ports of call of early Cunard liners.